This photo of Machu Piccu was sent to me by a colleague who has been there several times. The stone work is jaw-dropping. 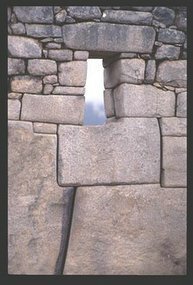 The Inca put these stones together by using other stones to carve the joints. Harder, smaller stones, 1000’s of hours of work to put this wall together.